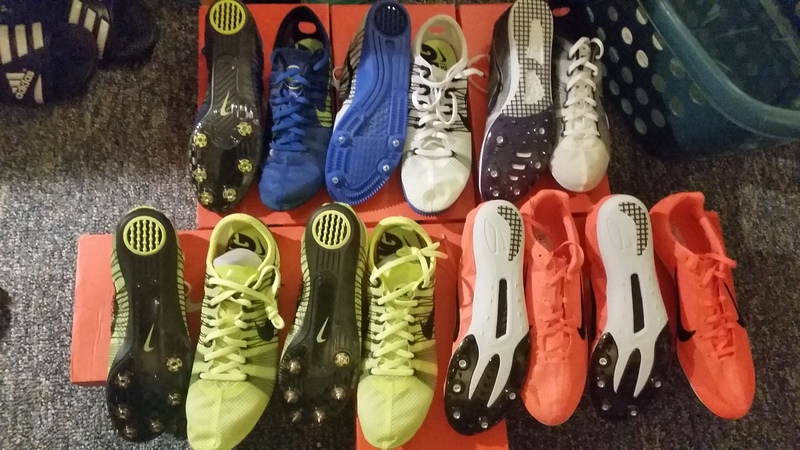 Figured id post my spike/flat collection before I sell a couple pairs. Its been fun collecting these. Man, I’ve been after that exact pair of USA OG Vics. Same size & everything Nice collection! Quick clarifying question that someone may know the answer to. Are those USA vics? They appear to be the standard red/white/blue vics that don’t have the USA inside the shoe. yea those are the usa ones, that released. the promo sample pair has a USA on the insole and that pair only has blue swooshes. Rebuilding my spike collection after selling most of it off, nothing close to GT or any posters here. Love those purple OG Vics. Don’t ever sell those! Found these on eBay for $25 in a 11.5. I’m a 10.5 exclusively because I have weird feet so I thought what the heck I’ll buy them just too have them. I put them on just to check and they fit perfectly. I’m really confused but I’m not complaining. Condition is really damn good too. That’s understandable. 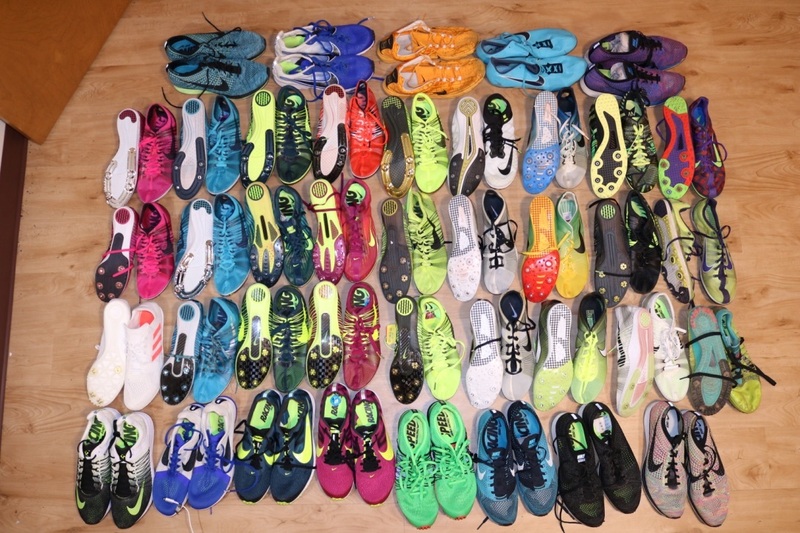 I used to have a pretty big collection, just because I enjoyed finding rare pairs on eBay or on here. 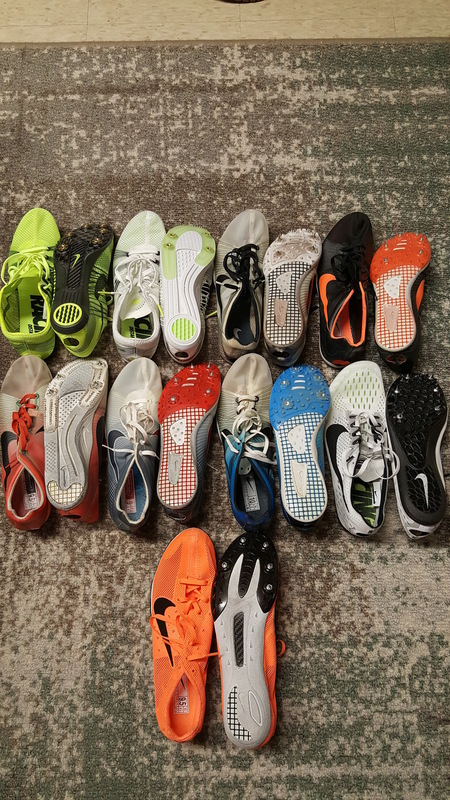 I had about 15-20 pairs, but I’ve sold them almost all off over the last 8-12 months. Left with a pretty small collection, but I really only use 2 pairs. For me, the collection was a good way to make some money. 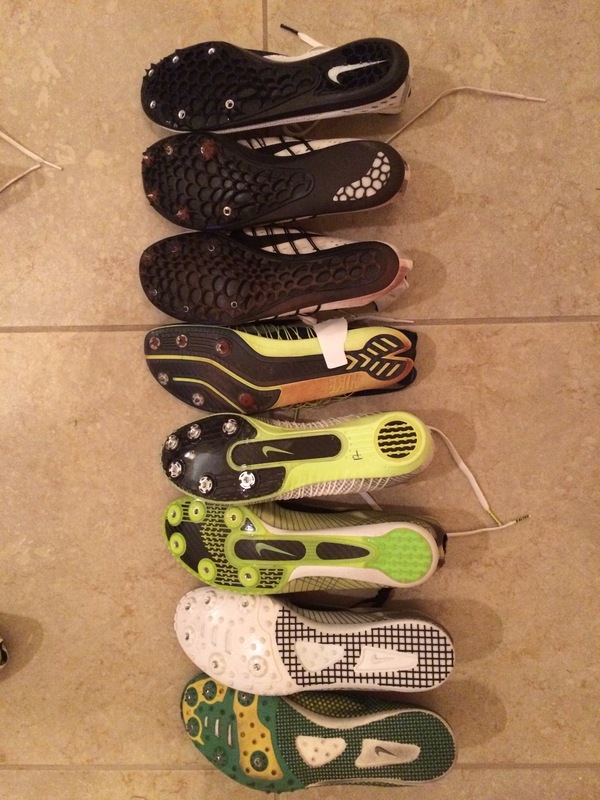 I buy cheap spikes whenever I see them and have extra money, and I sell them when things get tight or I need extra space. can you show us those vic 3 prototypes now that they’re out? Collections aren’t about practicality my man. I can’t tell you how often I’ve bought spikes/shoes/singlets without any intention of ever wearing them. For me its about owning a piece of history or like something cool that no one else will have or even just hey its so cheap that I can’t justify not buying it. monetarily its not the smartest thing, but hey, it makes me happy so in the end isn’t that all that matters? It tells an old legend, that if you put all the spikes of @GThorvald one after another, would give twice the round the world. I still want to know what the heck those are with the split heel… and how do they feel? Also, how are those with the full length plate? are they too aggressive?